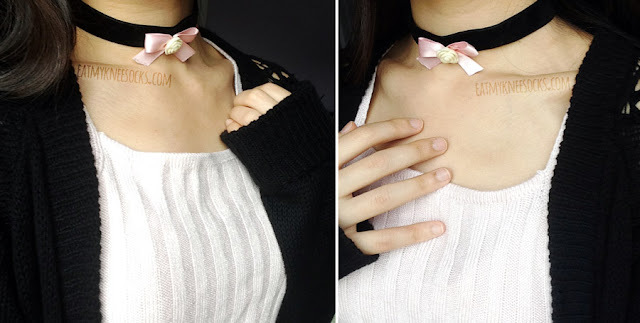 Milkstud Review: Velvet Ribbon Choker, Clear Spiked Choker + Heart Pins! Hey lovelies~ Today I've got a special review of Milkstud, an Etsy shop that sells handmade chokers, harnesses, garters, and more! I received the package a few days ago, containing two chokers and two clear heart pins. 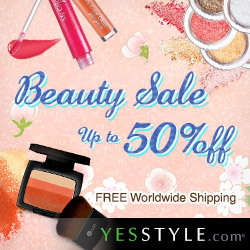 Continue reading for the full review! As you may already know, I'm a huge fan of chokers. 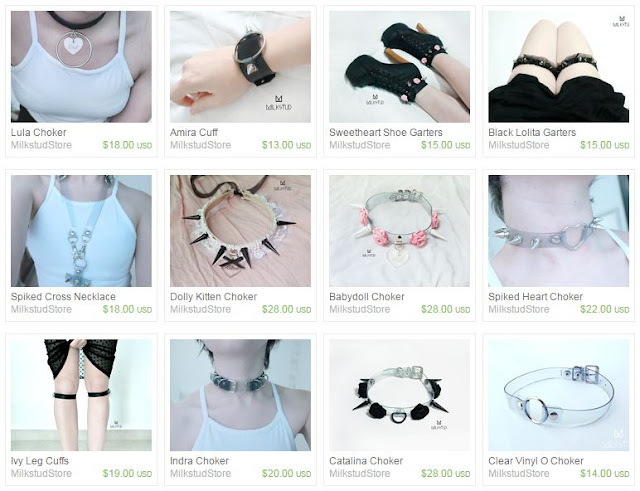 A few months ago, I was searching for unique chokers on Etsy when I found a shop called Milkstud, selling one-of-a-kind pastel goth, soft grunge, fetish and Harajuku-styled accessories. 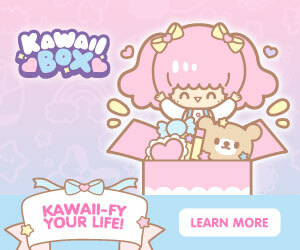 It's a fairly small shop, but all their products are so cute! 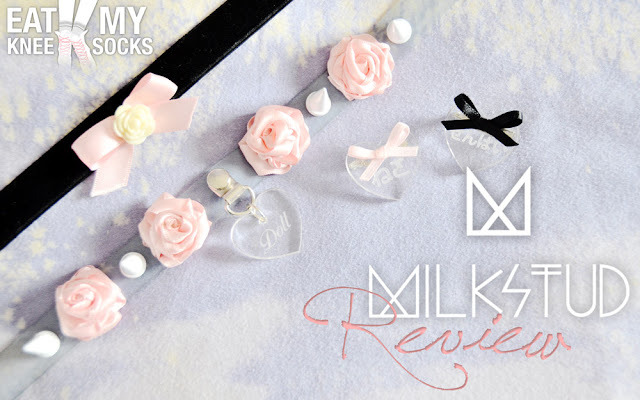 The super kind and lovely owner of Milkstud gave me the chance to review some of their amazing items, and I'm really honored to be collaborating with her! Shipping only took about 7 business days, which was super quick. I was away on vacation when it was delivered, so I had the post office redeliver it when I got back. 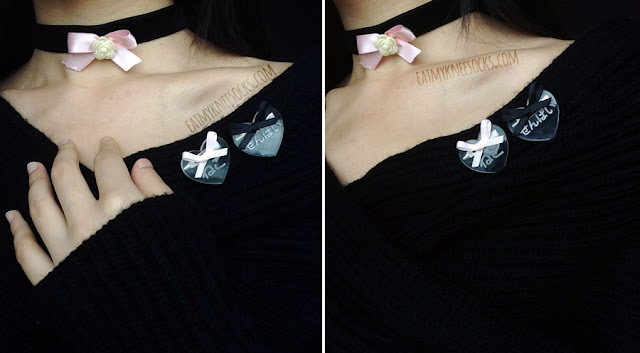 I was sent two chokers and two clear heart-shaped pins to review. The packaging was simple but cute; everything was wrapped in tissue paper and placed in a sheer white gauze bag. The items also came in a box with tons of bubble wrap to keep it safe during delivery. Words cannot describe how happy I was when I received the package. I've been obsessed with these kinds of accessories for so long, but I wasn't sure if I'd have the courage to wear them, so I never really got any until now. 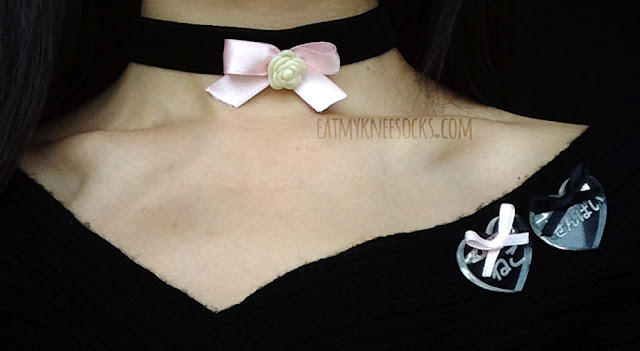 The first of the two chokers that I got from Milkstud was a black velvet choker with a pastel pink bow-shaped ribbon and 3D cream-colored flower. This choker has a lobster clasp closure, along with an extended chain and a dangling silver spike. This choker isn't currently sold on Milkstud's site yet, but the owner told me that it's one of the items in the store's upcoming collection. The design of this choker is simple but lovely. The pastel pink ribbon and off-white/cream-colored rose embellishment add a cute vibe, which is balanced out by the sleek black velvet and the edgy spike accent. The material feels very comfortable when worn, and the quality is great! There's an extended chain on the back for you to adjust it to a variety of lengths, and the clasp is pretty sturdy. For me, this choker is still a tiny bit loose even when I put the clasp through the tightest ring, but it stays put for the most part so this isn't a big issue. The design is adorable, and I like that it's still subtle enough to incorporate into everyday outfits! The second choker that I got from Milkstud was their babydoll choker, currently sold for $28. 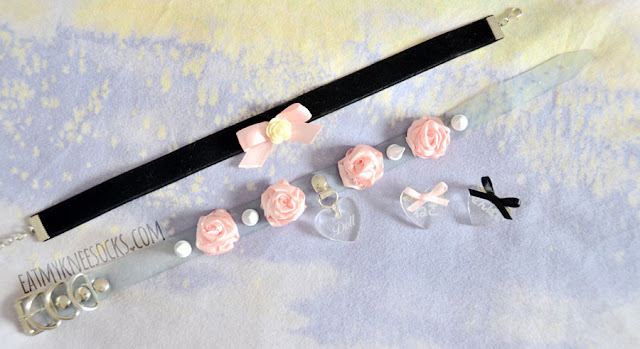 This clear vinyl choker comes with long white spikes, pink satin ribbon roses, and a clear Doll-engraved heart-shaped pendant. This clear, studded choker is wider in width than the velvet choker and features a belt buckle-style closure at the back, with various lengths that you can adjust it to. Quality-wise, it's very well-made, and all the pieces are attached sturdily, so there's no need to worry about any of the gorgeous pink roses or shiny white spikes falling off. It's pretty heavy, but holds up well and stays in place once you adjust it to the right length. The babydoll choker fits perfectly and doesn't shift or droop like many other chokers do, though the vinyl fabric isn't as breathable as the velvet one. I often find it frustrating with some chokers when I have to constantly adjust them to keep them centered, but that's not a problem at all with this one. Style-wise, everything looks exactly as pictured in Milkstud's product photos. To put it simply, I love, love, love the look of this choker. The clear vinyl, heart pendant, and pastel pink roses give it a soft and dainty touch, while the giant white spikes add some jaw-dropping flair. 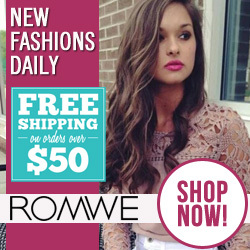 It's definitely a more daring piece to wear, and it's sure to turn heads! In addition to the two chokers, I also received two clear heart pins. Each of them had a ribbon (one black, one pink) along with white engravings on the front and silver pins on the back. 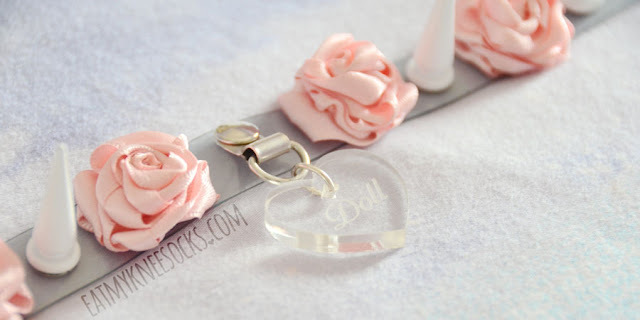 These clear heart pins are adorable and can be used in so many different ways. 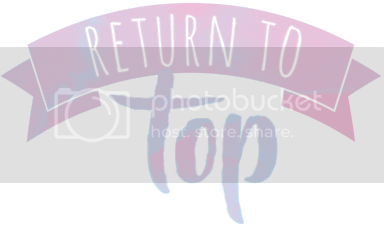 You can attach them to chokers, wear them as brooches on shirts/tops, or pin them on bags and more! Each pin is engraved with Japanese hiragana characters in the center. 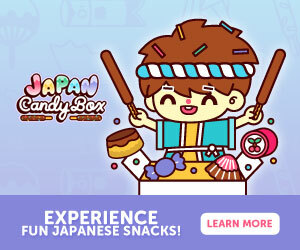 I don't know any Japanese, but I messed around in Google Translate and figured that the pin with the black bow says "senpai," while the message on the one with the pink bow translates roughly to "sleeping," or something of the sort (?). (I don't speak Japanese; feel free to correct me if I'm wrong! :0) Anyway, the pins are cute and multipurpose, so what's not to love? Like the chokers that I got, these clear heart-shaped engraved pins are also high-quality, not fragile or flimsy. The white-colored engravings pair especially well with darker clothing/bags/chokers/etc., which help the writing stand out. Here I'm wearing the pins with a black sweater and the velvet choker from Milkstud. I really, really love all the items that I got from Milkstud, and I'd certainly recommend the shop to anyone who's a fan of soft grunge, pastel goth, or Harajuku-style accessories! 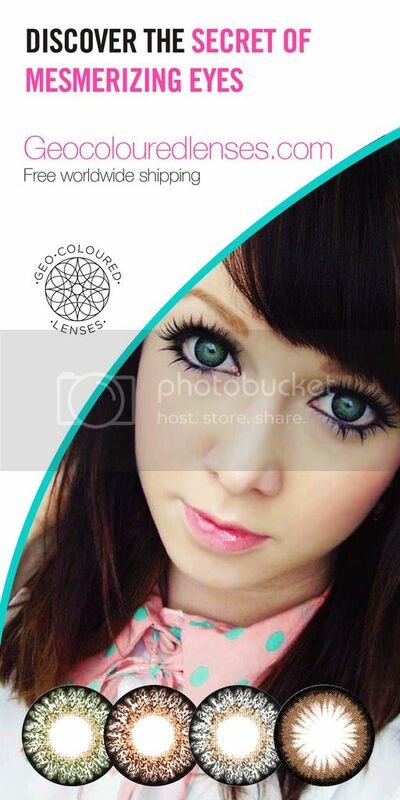 From firsthand experience, I can say that their products are beautiful, accurate to photos, and high-quality. Shipping was really fast, and everything was packed nicely. The owner is so sweet, and I had a lot of fun working with her! 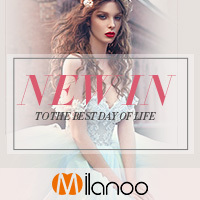 Be sure to check out this lovely store! Ohh thanks! That definitely helped :D I'm so happy to hear that you like my blog!